Visual Arts is very proud to announce that four Swan Christian College Art students had their work on display at the annual ‘Outside the Frame Awards’ hosted by the City of Armadale. Visual Arts students Clancy Mercer (Year 12), Paris Wilkinson (Year 12), Sophie McHutchinson (Year 11) and Katie McCabe (Year 11) entered their semester one artworks into the Outside the Frame exhibition (11-19 August) at Rossiter Pavilion. The exhibition showcases an array of high caliber artworks from Perth’s emerging young artists. 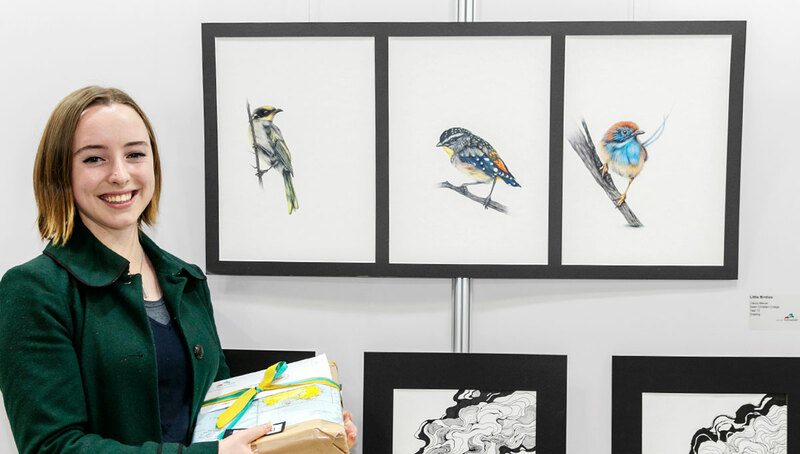 We are excited to report that Clancy Mercer received the drawing category prize for her gorgeous birdies series. Congratulations!